Oh, no, PLEASE EA, PLEASE DON'T DO THIS!!! This incarnation actually looks to have some welcome changes, such as proper race courses, realistic handling and real time damage. Having said that I still loath the Need For Speed series ever since EA transformed it into the hateful franchise it is today. I am so glad this is available on the PS2. porscheboy wrote THE BEST GAME EVER!!!!!!!!!!!!!!!!!!!!!!!!!!!!!!!!!!!!!!!!!!!!!!!! If you like EA-ified regurgitated tripe, then yes. Really? I think the best game ever was Need For Speed High Stakes - Good graphics (for the era), one of the best damage engines ever, Need For Speed tuning-free. Sadly, EA will never make one again. It's better to center in car modification than in races and super and hypercars. I haven't tested this, and I should, I consider myself a Need For Speed fan, I followed this series since High Stakes. Sadly, Porsche Challenge never came to my town and Hot Pursuit 2 was so lame that I decided not to buy it, and Underground looked so hideous to me that I didn't download the demo. Later, Underground 2 came up and I decided that NFS was ruined, but a friend mine, fan of all that tuning stuff sayed that it was great, so as it was released here in November and my birthday was in December (7th, if you want to wish me a happy birthday ) I decided to buy it, and I discovered that I wasted my money and Need For Speed's spirit was dead. Then, two years later, Most Wanted came up and everybody said "Oh, Need For Speed is coming to it's beggining" "Is High Stakes 2", so I decided to give it a try. It was good, but not perfect, it had capted NFS' essence but still was something missing, so I thought that next year Carbon would be brilliant. But I was completly wrong. It felt like a Need For Speed Most Wanted Carbon expansion pack, same graphics, same textures, a few more cars, terribly short and boring career mode, it was the worst Need For Speed ever, and that sensation of "I wasted my money" came back again. Since they gifted me my Carbon game I just played two days: one, the day of my birthday, that I bought an Aston Martin that handled like a truck, and a day in June that I bought a Shelby GT500 that didn't handle at all. And after this, the cicle is coming back, my birthday is approaching and a new Need For Speed is released, but this year I'm not interested in it at all. I think that this Pro Street is humongous, is ridiculous for EA and a real afront to the Need For Speed name. PD: I just played two days with Carbon but I'm playing with High Stakes since 1999, and I'm still playing! I agree, the essence of Need For Speed has been completely lost in recent iterations, particularly since it was EA-ified. 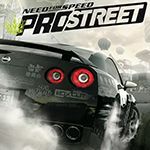 The core appeal of taking exotic sports cars and driving them devilishly through public roads whilst running against the law is what Need For Speed captured so well, yet its current target market has dominated the misguided direction of the series with Prostreet firmly representing this. 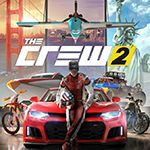 Eliminating the thrilling illegal street racing aspect and introducing enclosed racing circuits is a sure sign of a colossal identity crisis, as well as a misleading game title considering Prostreet is devoid of any sense of speed whatsoever. I smell pre-rendered teaser trailers that the game looks nothing like. Then again it could just be the horrible whiff of turds slipping out of EA's arse one after the other. I tried the final game and i can confirm that this game have the worst handling in cars ever made!! Oh dear, NFS Carbon had an extra-easy handling, and now he got extra-hard handling, why EA don´t search for a smooth mix, or simply make a good psysics? At least the graphics are so good, and tha crashes are good too...but i get very mad in a race with 4 players with identical GTO´s, and i always ended the last, was impossible to drive that sh**! Ah, i forget to tell, now i have the game at least i´m going to provide studio-like pictures of all cars...by the way, one folder on cars one, say "VEYRON"...i wonder if...?? Ah yes, I read that there are actually some unfinished cars that can be externally unlocked such as the Veyron and Koniegsegg, but because they are unfinished they do not play correctly. It makes you wonder what EA were thinking, as this game would be almost desirable if it contained a Veyron. Hopefully they will release a patch to address this. I have always wanted to see a Veyron appear in an official car list of a game...although not a Need For Speed game The mighty Veyron deserves better than that. By the way J-2, what do you mean by "studio" pictures? And, i unlocked these cars! In the forum i´m putting all the photos, including them...the Veyron is a mean machine!! Nice graphics! I think I'm going to eat my words and buy it. Yeah, read what i said here...the handling is AWFUL, for taking a curve you need to almost stop the car and turn the steering 200 times, like if you are driving a truck instead of a...Porsche GT2. I'd just give up on this game if I had to unlock that many cars. I have tested this and I've decided that is the worst Need For Speed ever. J-2, had you see my post in the forum? Forza 2 is the best racing game in video game history...you know...IMO. I've got this game now, it's better than i thought it would be. I would love to see a Need For Speed game where you can race trucks and SUV's. Apart from it being a total sell out...which to be honest...I wouldn't hold it against EA or anyone else. Cause hey moneys money and what you gonna do about it. But I used to play the old need for speed a lot. And I was really looking forward to the PSP version cause I'm a handheld girl and I was bitterly disapointed. Besides the set up and lay out being confusing the normal configuration that you would have in every single driving game changed - why? No real reason to. Of course you can change it but its just another added complexity...Now I'm not one to have much patience with these things, so if I can't get into a groove with a game I thus abandon it. Which was the case after Boss 3.
the veyron its only for pc version ? This is my least Favorite need for speed ever! EA can do better than this! Igcds Irish members don't seem to like it a lot and I seem to agree with them. The parts I hate are the difficult menus, Removal of Chases and removal of free roaming. Now I love the need for speed series and they highly improved on this with Undercover and they will hopefully improve further with the Upcoming Shift. At least I only spent 12 euro on it on my tour to Dublin, but it is still a waste since I was really looking forward to playing this game and adding it to my Need for speed collection. There is three things I do like and its the big choice of cars in the game and the Real time damage in the game. I also like the Good Graphics in this game but thats not enough to save this Game. Maybe I should have waited until I had enough money and bought Burnout Paradise the ultimate box or Midnight club Los angeles. This game Gets 3 out of 10 from me. My message to EA: You can do a lot better than this. I agree with James2006789 100% on this one. I agree dude, High Stakes (Road Challenge in UK) was my favourite. I acquired a copy ten years ago when I was 7 and have been playing on it ever since (mostly for the memories). 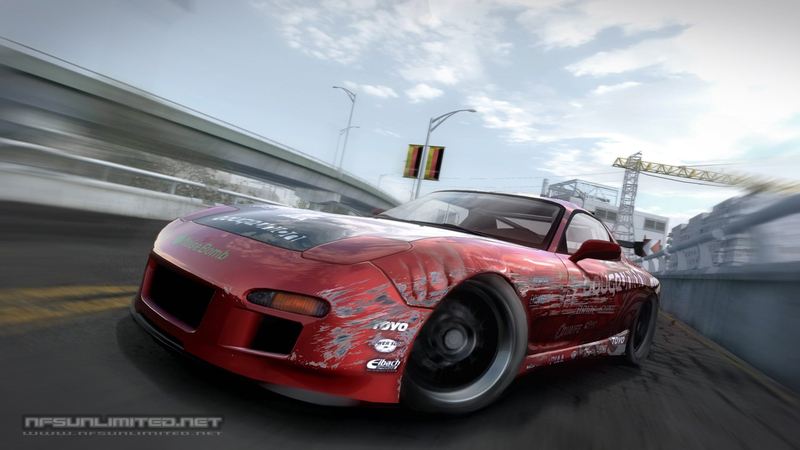 I also think EA should have never released Underground, it ruined NFS and strayed from it's roots of track racing and went straight into street racing and over-the-top customizing with boring cars, very Chavvy. However, when I was 12 I played on Underground 2 quite a lot, but was still disappointed due to the big built-up areas, rather than counrtyside tracks or rural settings. When Carbon came along I was pleased that they decided to include some real cars - Muscle cars, which weren't even in High Stakes. But I still think they should bring the older games back, they were a lot more fun because they were simple - Rural tracks, easy to memorize, fair tournment, no customizing, only upgrading, exotic cars easy to unlock, EG. Maybe EA should include a High Stakes remake with the original tracks except this time with more classics and a better soundtrack! ea games i never thought could be so blind....!!!! If they would of put cockpit view in this game then it would be the best selling need for speed of all time. 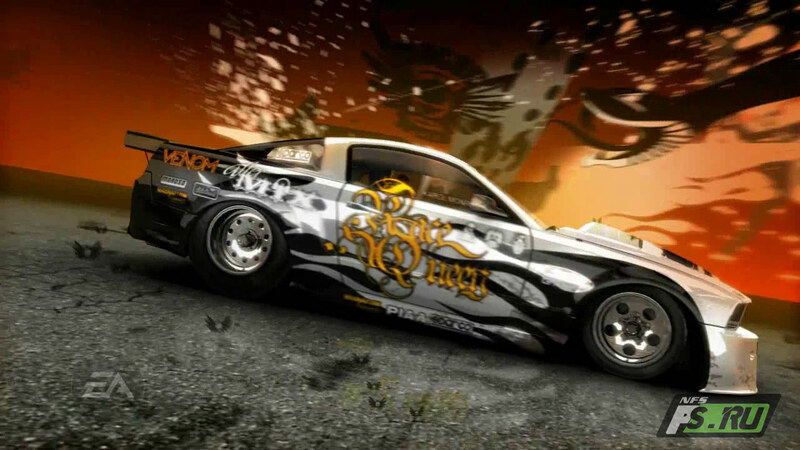 and what the hell is up with all these damn kickass cars that arent on nfs ps for ps2??????? that is not even fair at all!!! if they were gonna dis pro street for ps2 like they dised carbon for ps2 then they shouldnt of even made this game for ps2. what im sayin is that they did the same thing they did to carbon for ps2. 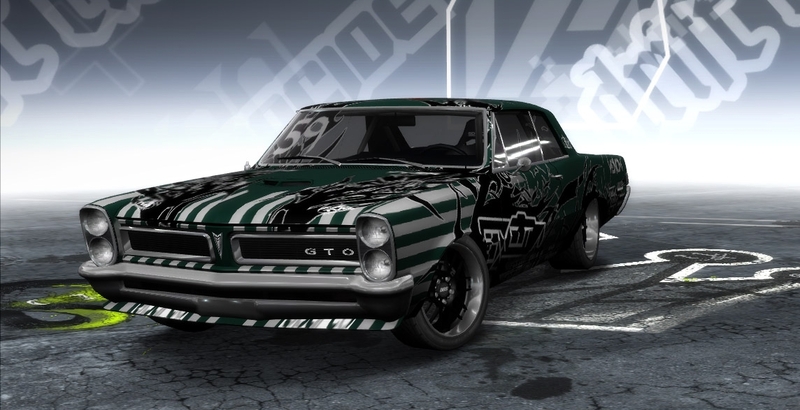 carbon for ps2, barely had donky crap for cars and carbon for xbox 360 and ps3 had tons of awesome cars, same pattern as pro street. Star wrote Apart from it being a total sell out...which to be honest...I wouldn't hold it against EA or anyone else. Cause hey moneys money and what you gonna do about it. But I used to play the old need for speed a lot. And I was really looking forward to the PSP version cause I'm a handheld girl and I was bitterly disapointed. Besides the set up and lay out being confusing the normal configuration that you would have in every single driving game changed - why? No real reason to. Of course you can change it but its just another added complexity...Now I'm not one to have much patience with these things, so if I can't get into a groove with a game I thus abandon it. Which was the case after Boss 3. IS there a "MAJOR" difference in the cars for the PC version over the Wii version? I think NFS:Carbon is one of the best NFS games. Also for PS2 if you have NFS carbon on your memory card, at the racedays youcan hear the one announcer guy say something about Carbon. FordMustang1967 wrote I think NFS:Carbon is one of the best NFS games. Yes, because they're totally going to come back and reply to a comment from June of 2007. I made A BMW M3 like the one from NFS MW 2005 it took me a couple hours but some how the data on my memory card went corrupt. i played this game on my computer. it was fun and i hated the physics. a little. but great game, though. i found 5 pics not added in igcd. And, why did you post these pictures? Andra125 wrote And, why did you post these pictures? It was released for Mega Drive in Brazil. (NOT a home-brew!) I´m serious, it was!!!! Gamer wrote It was released for Mega Drive in Brazil. (NOT a home-brew!) I´m serious, it was!!!! I've just looked it up; it was part of an officially licensed compilation cart with 67 games - 4 of which were mobile versions of brand new games from the time (FIFA 08 was also on there). So yes, it is just the mobile version. 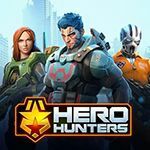 Anyone knows if it was an official release by EA or just a pirate? sajmon14 wrote Anyone knows if it was an official release by EA or just a pirate? Though, technically it isn't even a Sega Genesis anymore, it uses much more advanced technology. Excuse my stupid question, but it surprises me that you call the MD "Genesis". (NTSC and Australian name) Was it marketed as Genesis in the UK? No, it was called Megadrive like the rest of Europe, but I'm more familiar with the name "Genesis". 3 cars lost , acura integra (red , this white are type-r) , acura nsx and this lexus . PS2 and PS3 I used to love EA back then, every console had the new Need for Speed. I liked high stakes, and underground, and underground 2 was great, Pro street was meh, undercover was not much better, I loved the customization and the open world aspect of the game coupled with the great sound effects, and other things, but the Need For Speed series has been total crap recently, and the series quality has fallen to the point where I don't even bother with these games anymore. strike9 wrote I liked high stakes, and underground, and underground 2 was great, Pro street was meh, undercover was not much better, I loved the customization and the open world aspect of the game coupled with the great sound effects, and other things, but the Need For Speed series has been total crap recently, and the series quality has fallen to the point where I don't even bother with these games anymore. I agree with strike9, except that I enjoyed the new Hot Pursuit and Most Wanted, but I wasn't too crazy about the Shift games. Hot Pursuit 2002 and High Stakes will always be the best for me. I can get pics of the missing cars unless someone else is doing it already? I'm sorry, didn't notice the second page, AE86 is there. Added missing Lexus IS 350 and Nissan Silvia (S15). The DS version is the best because cars have smooth physics. Shame on the home console and PC ports, the cars drive like boats. carcrazedalex586 wrote The DS version is the best because cars have smooth physics. Shame on the home console and PC ports, the cars drive like boats. Like boats? Driving cars in ProStreet is like dragging a brick on a concrete. Never seen so harsh driving physics. But the game itself was a decent title. Exactly. Try doing a speed challenge in the Dodge Challenger- you may find yourself bouncing all over the road. I hate the "More" song in the game. It's worse than in Burnout Dominator, how there are different language versions of Avril Lavigne's "Girlfriend" song. The cars Bugatti Veyron, Infiniti G35, Aston Martin DBR9, Lancia Delta, Pontiac Solstice, Chevrolet Camaro 2007, Plymouth Roadrunner, Koenigsegg CCX, BMW Z4 M Coupé, Ford Mustang 2003, Honda Civic 2006, Dodge Challenger Concept, Chevrolet Corvette 1963, Audi TT 2007, Audi R8, Acura Integra 2001, Acura NSX, Acura RSX, Lexus IS350, Lamborghini Gallardo and some cars are exclusive in PS3, Xbox 360 and PC versions which are not available on PS2 and Wii versions apart that only receives scratches and broken windows when PS3, Xbox 360 and PC are fully damageable. Same this happened with GTA V which there are cars that is only for PS4, Xbox One and PC which those cars are not appeared in PS3 and Xbox 360 versions. Excuse me, but ProStreet should be one word. This Game Are include 5 King Cars. Can I create a game place for DS version of this game? Can someone post the prop-like cars too? There's a Psp version of the game.